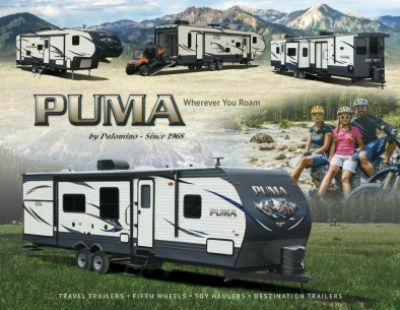 Go on the camping trip of your dreams with the 2020 Palomino Puma 39PQB Park Trailer! All Seasons RV in Muskegon, Michigan is one of the largest and most successful RV dealers in the Midwest! So come in and see us today at 4701 Airline Rd Muskegon Michigan 49444 and let our friendly, knowledgeable staff walk you through any of these great RVs. With our great prices and fast, easy financing, you'll be on the road in no time! Even if you don't live in the Muskegon area, our personalized phone and internet service, together with our fast, reliable 24/7 delivery service anywhere in North America! You can pick out your RV online and give us a call at 231-739-5269, and we'll have your dream RV at your door before you know it! Towing is easy, with a hitch weight of 1413 lbs. and a GVWR of 13413 lbs. There is a 21' 0" awning outside for shade and UV protection. Whenever the weather outside is too hot or too cold, your family won't have any worries, thanks to the 13500 BTU a/c unit and 35000 BTU furnace. They'll keep you comfortable no matter what! 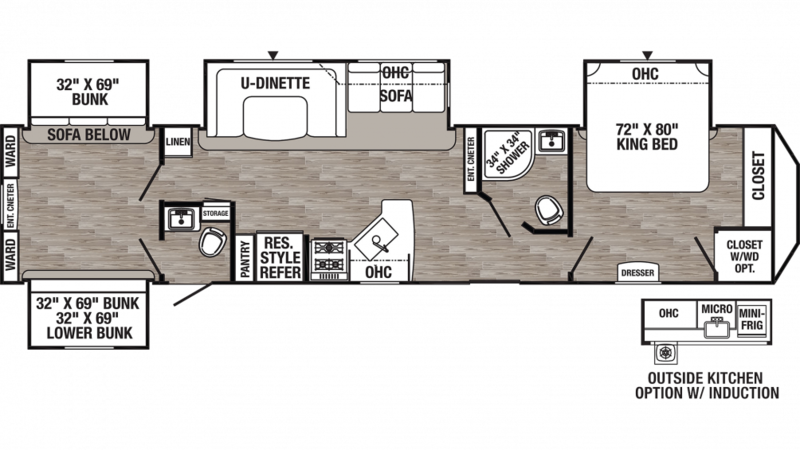 And you won't have to worry about cramped quarters because this model is a generous 42' 1" long and 8' 0" wide, with 4 slides that open up to maximize the living space for the whole family! No matter where you are, you'll sleep well inside this RV! There's enough sleeping space for up to 10 people, and there is a King bed inside the master bedroom! Delicious home-cooked meals can be made inside this RV's kitchen! There is a 16.00 cu. ft. refrigerator, a 3 burner range cooktop, and more! Drink and clean with an excess of clean water from the 51 gallon fresh water tank!